As Business Gateway Fife strive to continue to offer the best professional support to businesses in Fife, we constantly seek to work in partnership with local intermediaries and leading business experts to deliver the best advice across Fife. 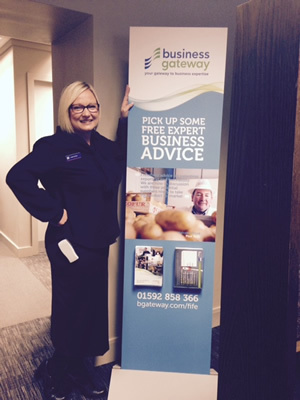 More recently, Business Gateway Fife provided the Royal Bank of Scotland with a host of literature so that any individuals meeting with an RBS Relationship Manager can see what additional support is available through Business Gateway Fife. "Business Gateway Fife plays an important role within Fife's business eco-system and the Royal Bank of Scotland is delighted to support its activities through our extensive business banking and branch network across the region.